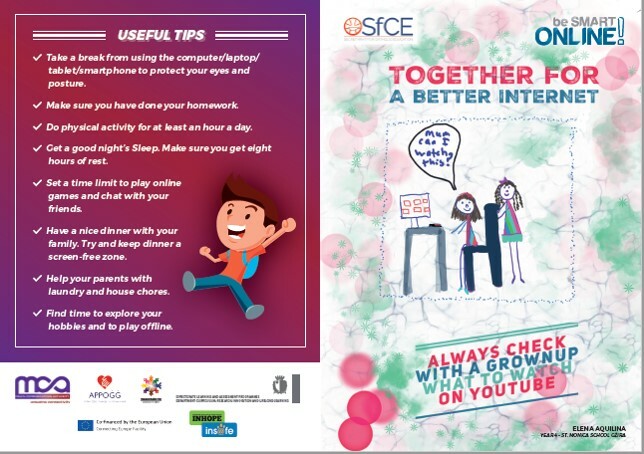 As part of the Safer Internet Day (SID) activities, the Secretariat for Catholic Education together with the Maltese Safer Internet Centre invited all Church schools in classes 4 to 10 (i.e. 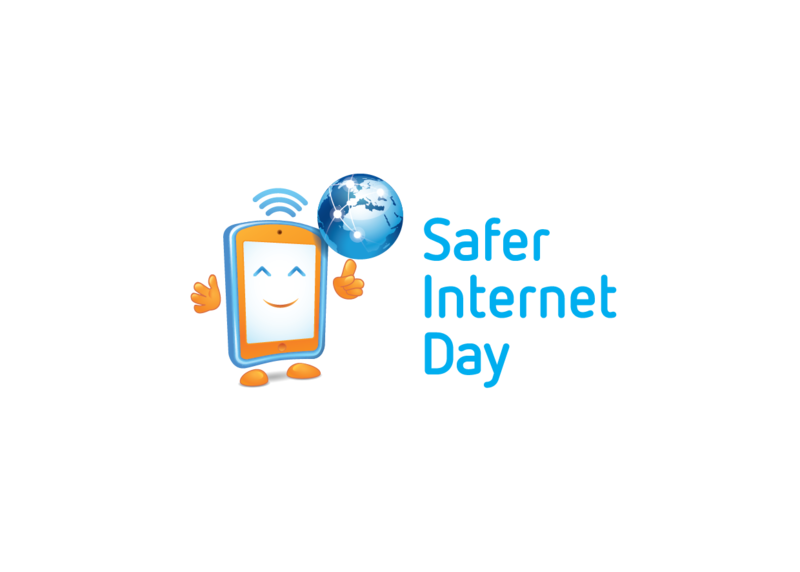 primary and secondary students aged between 8 and 14) to think how they could be good digital citizens, acting safely and responsibly online as well as how to act proactively to others’ behaviour over the internet. The students were then encouraged to use a digital tool to create an A4 flyer based on this year’s slogan ‘Together for a better Internet’. Posters were submitted and a judging panel selected one for primary and another for secondary respectively. These posters were used for a design which included a school time-table and an after school time-table together with some tips on how to balance between online and offline and distributed to the respective years across all Church schools. 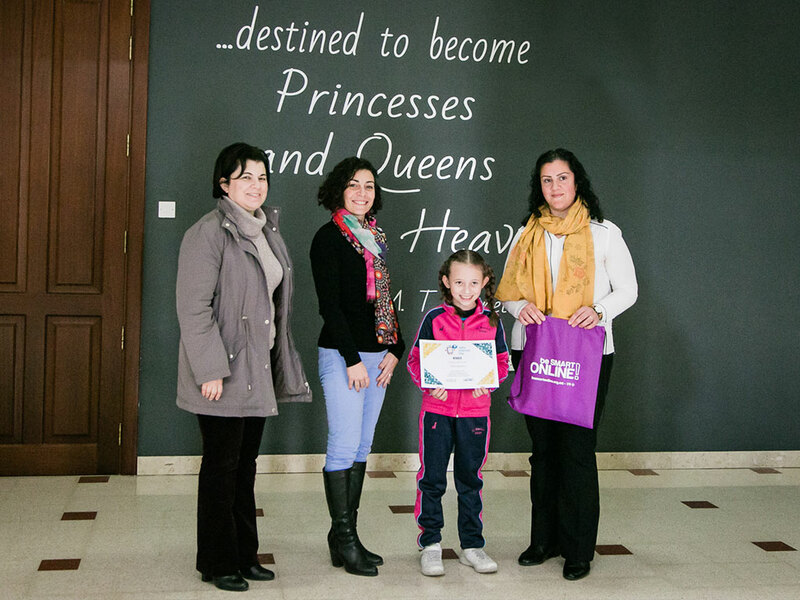 All participants of this competition were given a certificate and winners were each presented with a gift. 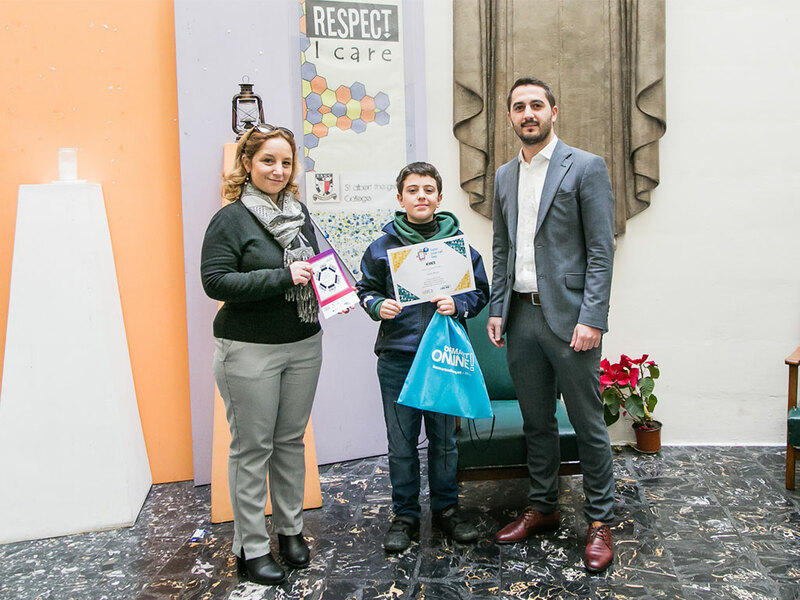 The winners of this competition were Elena Aquilina from St. Monica School, Gzira and Carlo Rossi from St. Albert the Great College in Valletta.